Love sushi but worry about shrinking fish stocks? Well for one night only, Terre a Terre alongside the Chilli Pickle, Sam’s of Brighton, L’Eglise, Due South, Coriander and Riddle & Finns will be turning Moshi Moshi into a vegetarian only sushi restaurant on the 3rd October at 7pm. As part of the Brighton Food and Drink Festival, customers will vote for the best sushi on the night. 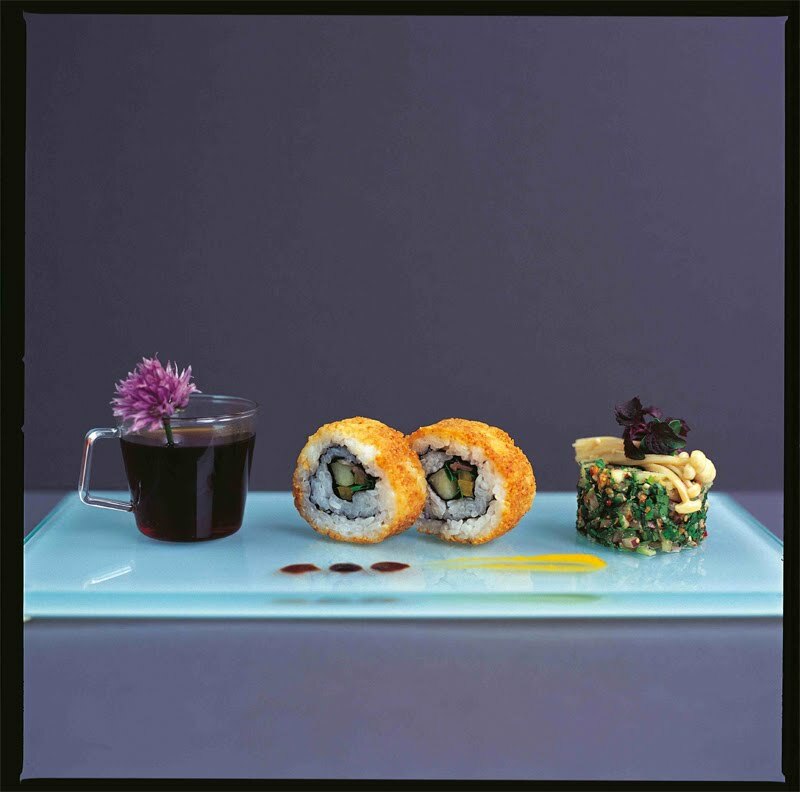 I can't wait to see what these restaurants produce but goodies to look out for will be Terre a Terre's famous Miso Pretty Maki (pictured above by Lisa Barber) and The Chilli Pickle's maki made with Nepalese Vegetable Chhoila Salad. Best bit is that it is just £19.50 for all you can eat. Booking is essential.